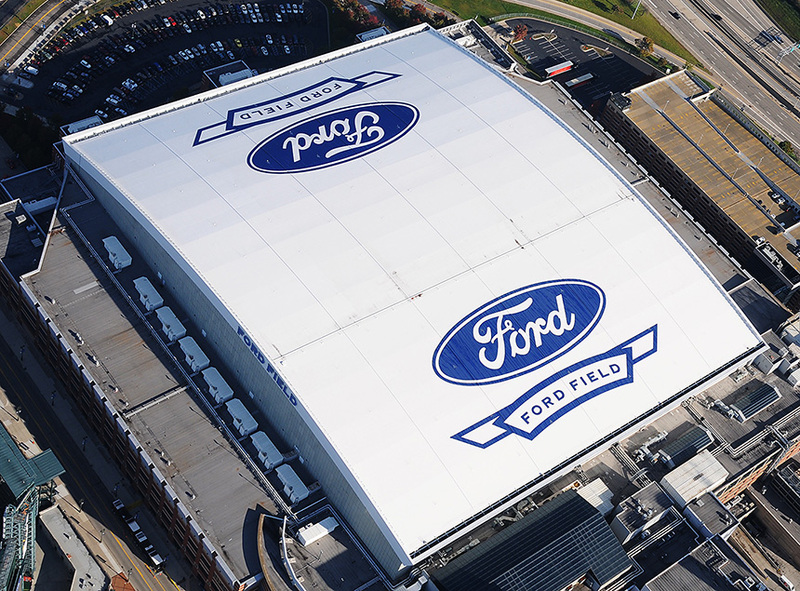 We were hired to create two huge Ford logos on the roof of Ford Field. 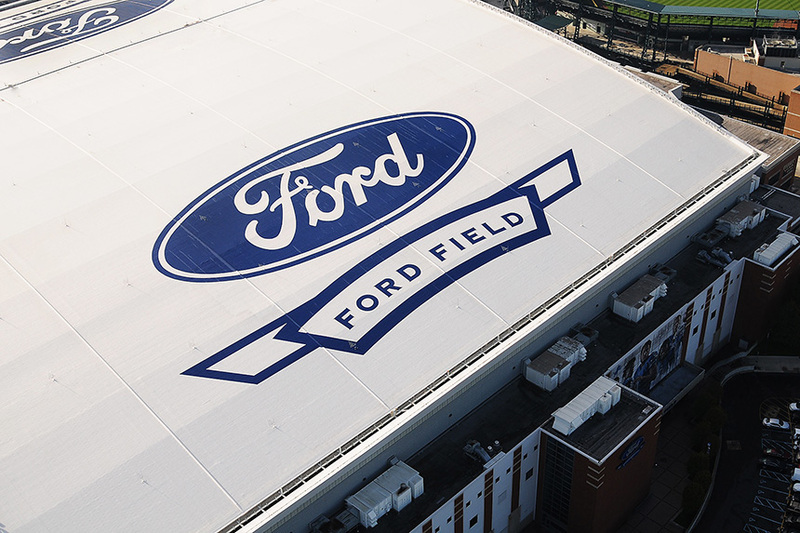 The layout of the iconic logo was critical to the success of the project. In under a month, using old world techniques, our craftsman took great care in creating the roof graphics. 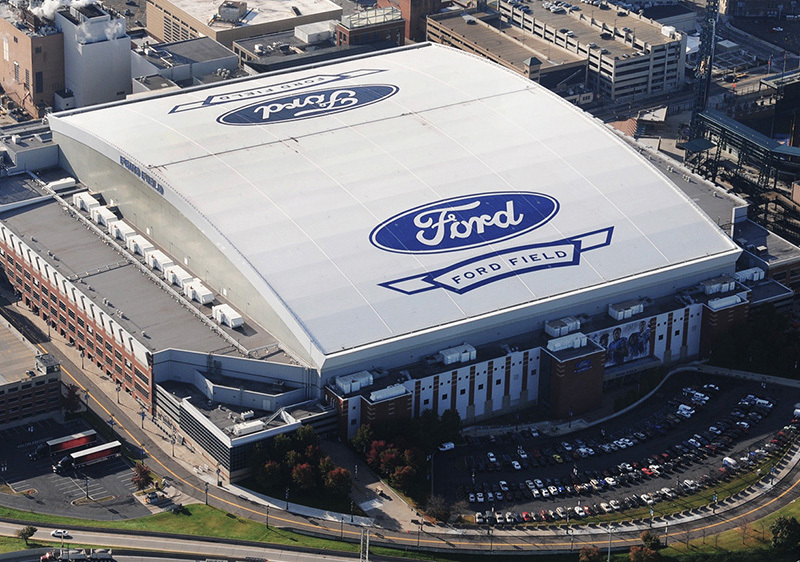 In the end we covered 64,000 square feet using a 20 Year Rust-oleum roof coating.